How can anything as exotic as a black hole really exist? Would we survive a visit near one? What would we find? What can black holes teach us about what physicist John Archibald Wheeler called “the deep, happy mysteries of the universe”? These are some of the tantalizing questions explored in this easy-to-read book. To answer them, we trace a star from its birth to its death throes in the clutches of its own gravity, embark on a hypothetical journey to the border of a new black hole, and enjoy some of the humor surrounding the study of black holes in the scientific community. 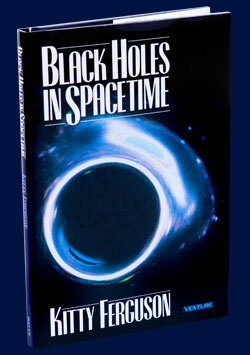 "Everything readers always wanted to know about black holes, but were afraid they wouldn't understand." "A well-written explication, often laced with wit." Astronomers have come across what appear to be two of the earliest and most primitive supermassive black holes known. A string theorist is not tethered to the notion of gravity, saying the force is a consequence of thermodynamics.